To fix pothole pocked roads and crumbling bridges across Virginia would cost about $13.1 billion, and that’s just the VDOT estimate to get the roads up to “fair” condition. WASHINGTON — To fix pothole-pocked roads and crumbling bridges across Virginia would cost about $13.1 billion, and that’s just the VDOT estimate to get the roads up to “fair” condition. 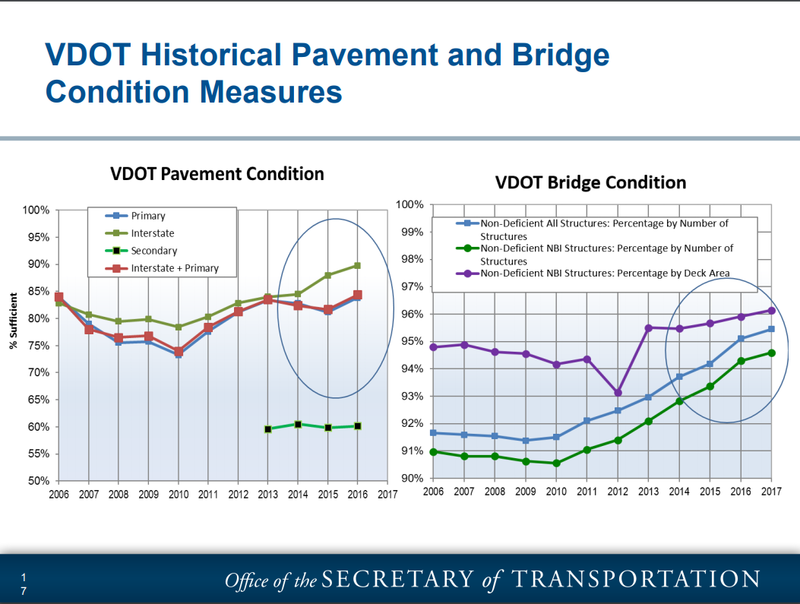 The Virginia Department of Transportation’s entire six-year improvement program highway construction budget is $16.9 billion, excluding debt service, so fully addressing the pavement issues would be impossible any time soon, VDOT Chief Engineer Garrett Moore told the Commonwealth Transportation Board this week. The drafted six-year plan includes new roads or roadway widening projects, new interchanges and other expansions. If money were no object, Moore said VDOT and local governments would need to spend $7.9 billion to get structurally deficient bridges into fair condition and $5.2 billion to get other pavement into fair condition. 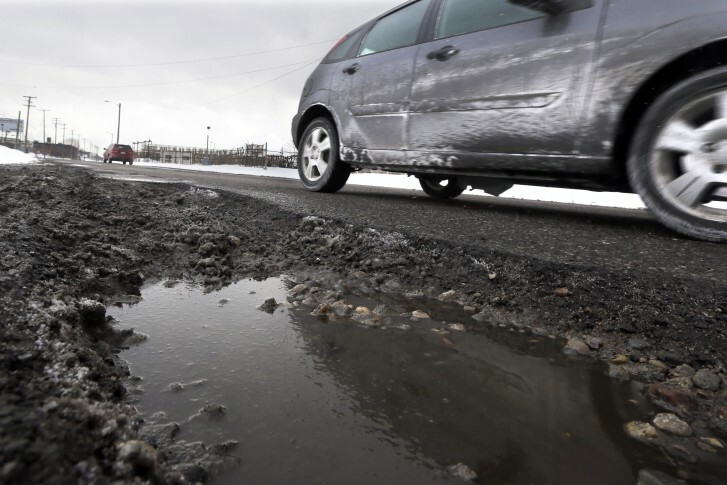 Side roads in Northern Virginia are in some of the worst shape, since prioritizing funding has typically meant pavement work focused on interstate highways or primary roads. 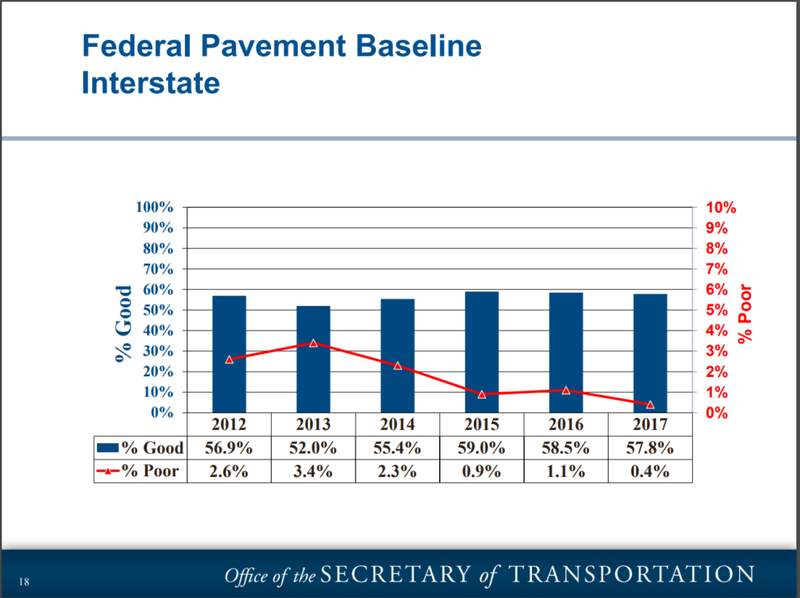 “Interstate and primary pavements are improving significantly, while secondary pavements … is kind of holding flat,” Virginia Deputy Transportation Secretary Nick Donohue said, acknowledging that secondary roads in Northern Virginia are in very bad shape. In the last two years, VDOT has spent around $100 million in maintenance funding on secondary road paving in Northern Virginia, which has increased the proportion of those roads in at least fair condition from around 30 percent to around 40 percent, Moore said. Around 85 percent of interstate and primary road lane-miles are in fair or better condition, while around 60 percent of secondary road lane-miles across the state are in fair or better condition. Statewide, VDOT has about 127,000 lane-miles of roads, including more than 5,500 lane-miles of interstate. There are more than 21,000 roadway bridges. Among bridges that carry major roads, the percentage of bridge deck area in poor condition dropped from 9.4 percent in 2010 to around 4.7 percent from 2014 through 2016. It is now 3.8 percent according to VDOT data.